Dean Winchester: What do you think? Jack: It’s like I’m you. Dean Winchester: No, it’s not. 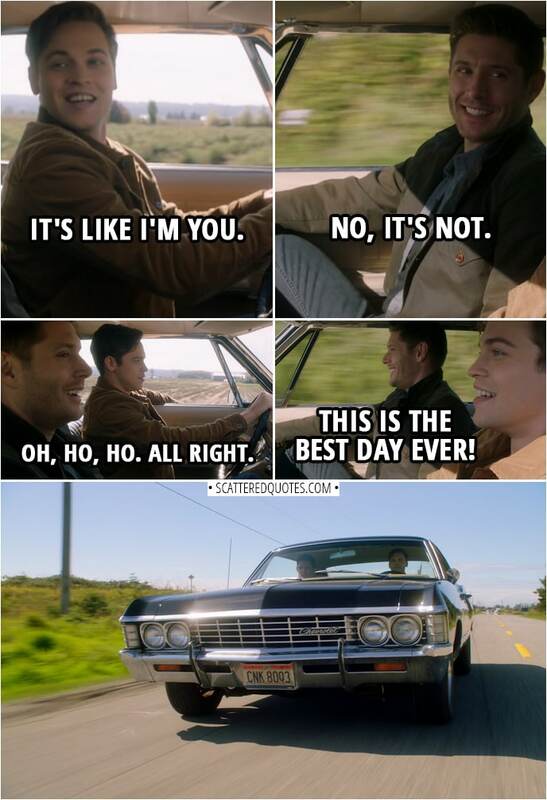 Dean Winchester: Eyes on the road. She feels good, doesn’t she? Dean Winchester: Oh, ho, ho. All right. Jack: This is the best day ever! 25.1.2019 It’s like I’m you. – No, it’s not.